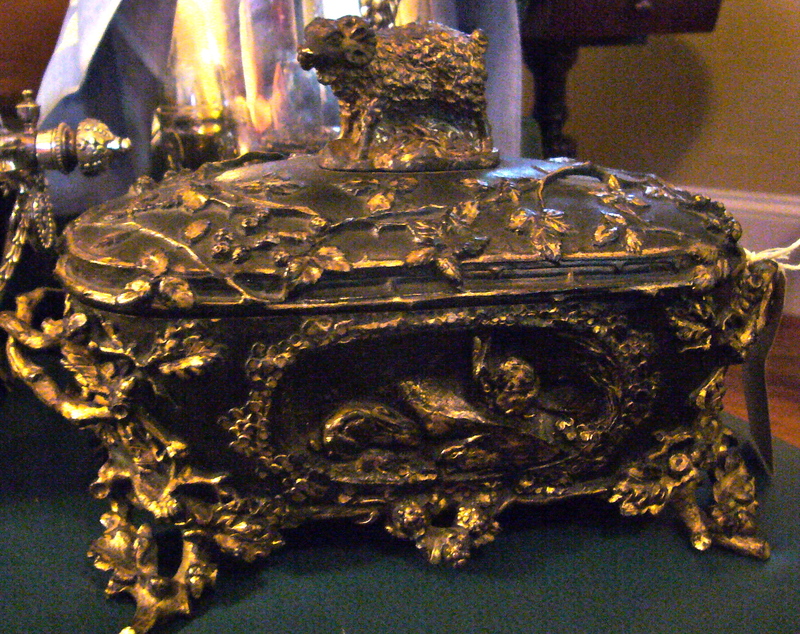 Here’s a gorgeous Black Forest glove box that my “Buyer in Training” Rachel picked up at one of those great brocantes in France that I can never find because I don’t live in France. It’s had a little repair on the back bottom edge but I can’t even find it and it’s got its nice, original blue velvet lining. Even though it hasn’t even been put out in stock yet, on CYBER MONDAY you can buy it for 15% off its $295 price tag! SOLD! Bonjour from the South of France! (I have now exhausted my French!) I am here with my daughter Rachel shopping the “Big 3” quarterly markets where you can see the most amazing things (world’s largest overmantel mirrors, in fact oversized everything for those oversized chateaus I guess) and the most amazing “getups” (this year’s trend is apparently shirtless men of all ages and all sizes, with a hint of underwear showing above their oh so stylish sweatpants–yeah, it’s 90 degrees here too!) Anyway, I digress. I am posting this photo of a great little starburst/sunburst (which is it?) 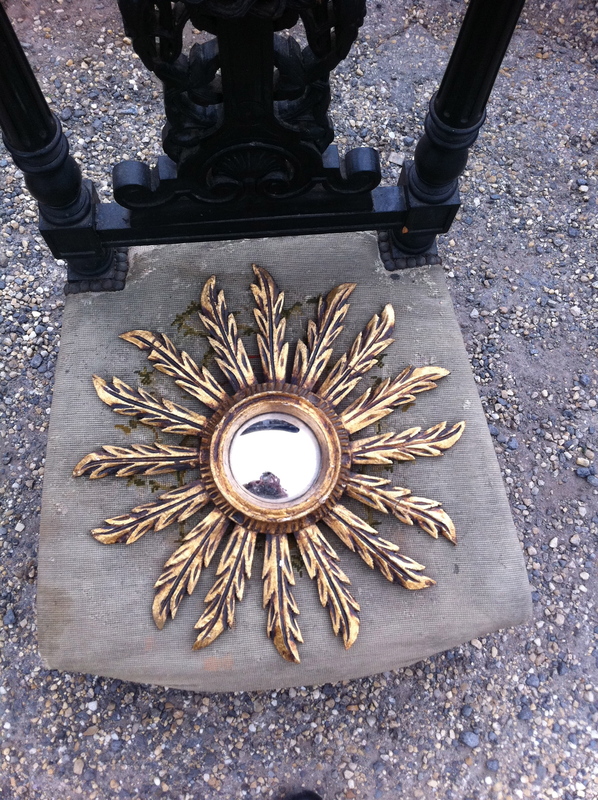 mirror which, if it makes it home in one piece, has a convex mirror in it, to give you just a hint of what’s coming. 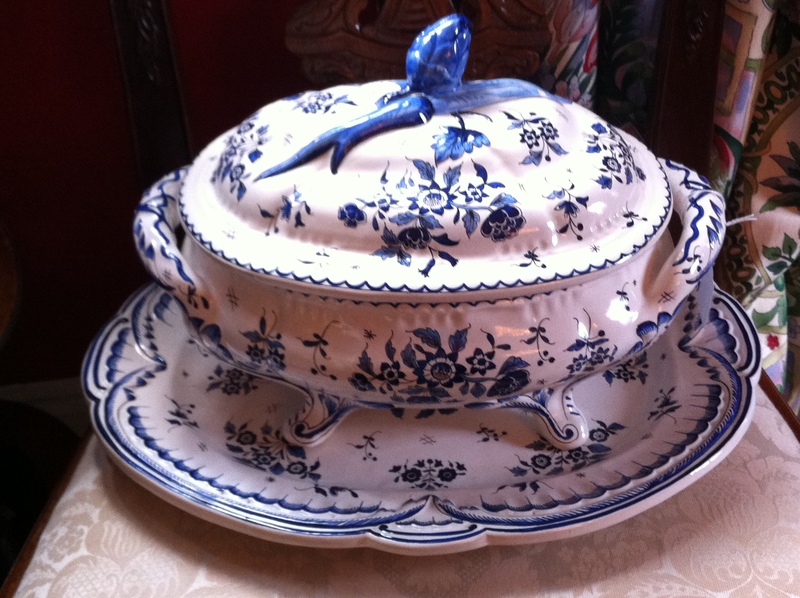 But since I am the world’s laziest “blogger,” and have a short attention span to boot, I am now posting frequent little pics and quips on my new FACEBOOK page: KnickKnack Paddywhack Antiques. Go there and tell me what you think! Most of you don’t know that I started this business in 2001 and had actually just arrived in England (by myself) on September 11 of that year. That’s a story for another day. 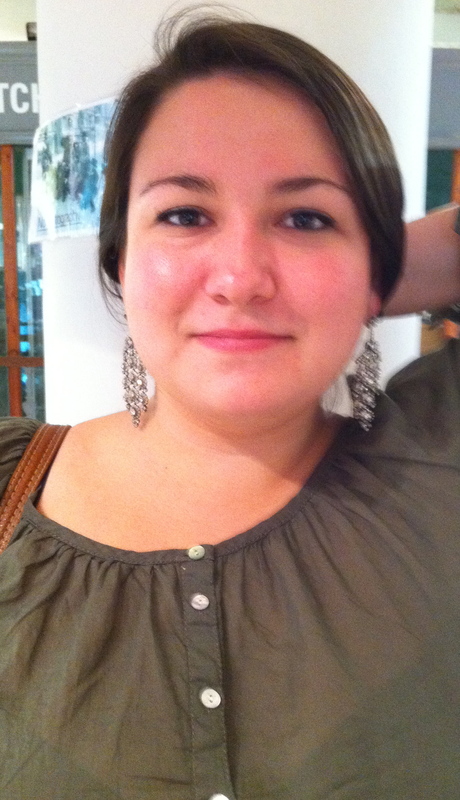 But it was during that stay that I met a jewelry dealer who has become a dear friend and mentor. As luck would have it, she also sells jewelry to a veritable Who’s Who of people, has a memory that’s scary and 1000 stories. How gorgeous are these ramshead salt cellars. 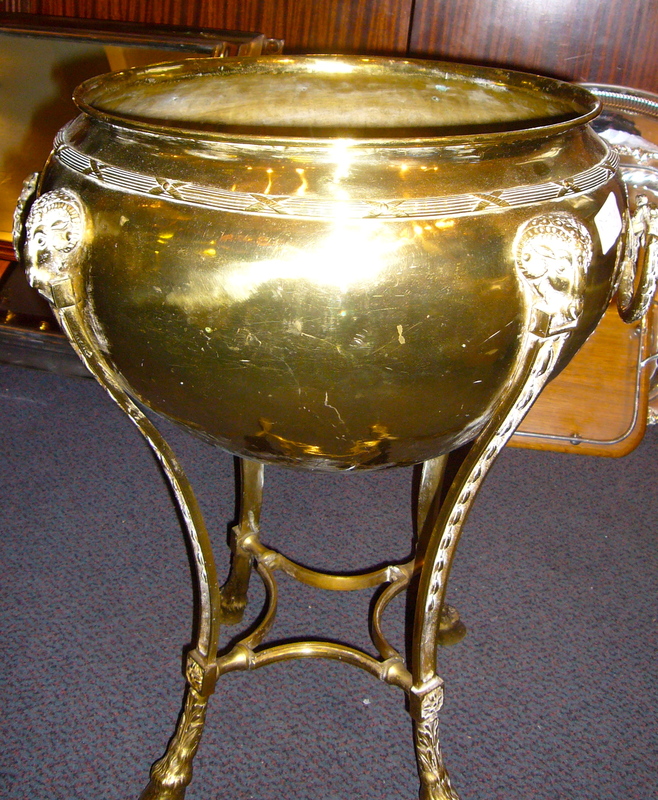 Victorian silverplate, gilded insides. You don’t have to put salt in ’em–Duke did plenty of that last night at Cameron Indoor! 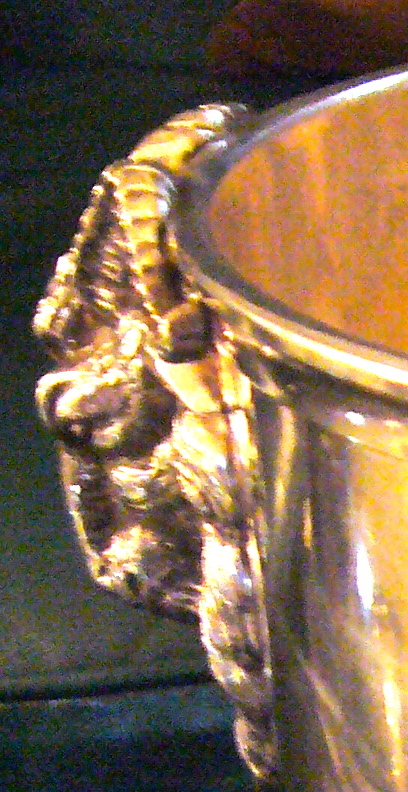 And finally, that bronze cask with the standing ram on top is still here. 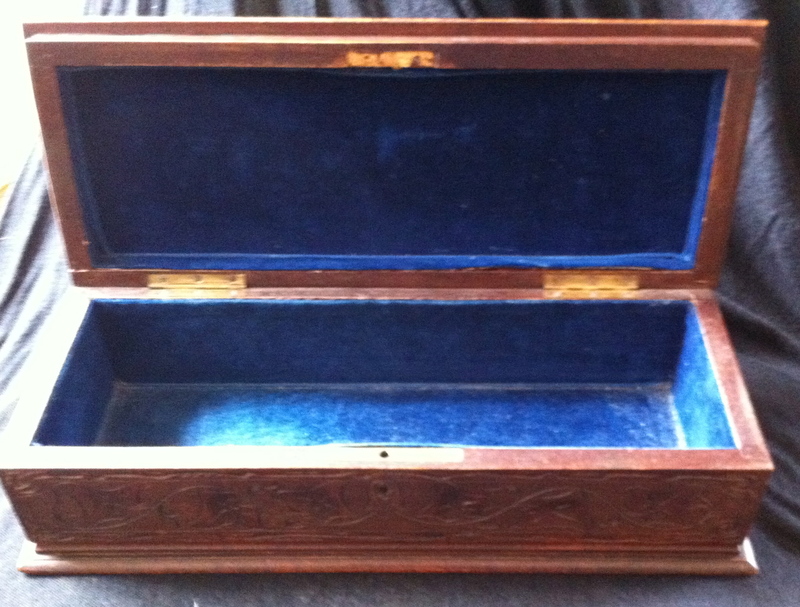 It’s actually a hunt motif box, probably used for jewelry or other treasures because it’s blue velvet lined inside and is very unique. 19th century. Looks great anywhere. 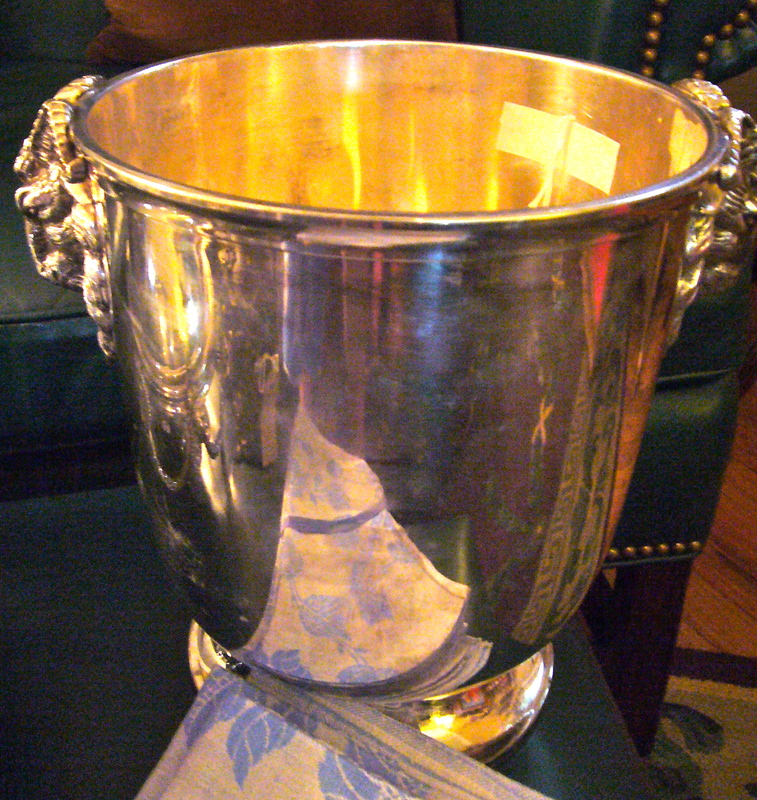 There are 2 or 3 more ram’s items here–one even holds flowers, but you’ll have to come see those for yourselves! I started this blog in my head when I was in London a week or so ago. As a lot of you know, this little business venture was created so I could go to London and surrounds whenever the spirit moved me, go to lots of theatre, eat good food, see great museums and just generally have a wonderful time in a foreign country without the burden of the language barrier. I didn’t factor in all the 4am departures to go to markets in subfreezing temperatures or driving rainstorms. Nor did it occur to me that I would have to have a regular shipper who would be dependent on the paperwork I gave him with the shipment and who would want vast sums of money to send my little knickknacks across the pond where many of them would arrive broken, having been delivered by that gorilla on the UPS commercial (or spoof of it) years ago. And I also forgot that as the business got older, so did I and with all the lifting and dragging, my aging process would grow exponentially to the success of the business. But I digress–I still love going to England, and now France where just this April, I finally learned how to count in French so that when the antique dealer answers my perfectly delivered “Bonjour Monsieur, combien etc. ?” with a number, I don’t look at him like “DUH?” and hold out my pen and paper (which is VERY classy!) And I realized why I still love it and why, particularly in London, I feel very much like I’m home—the British think SHOPPING IS EXERCISE!! HOW GREAT IS THAT? No joggers, no weights, just shopping bags and leisurely strolls down the High Street. AND they can’t seem to eat enough carbs and not the complex kind either! And 55 calorie beer–no way! 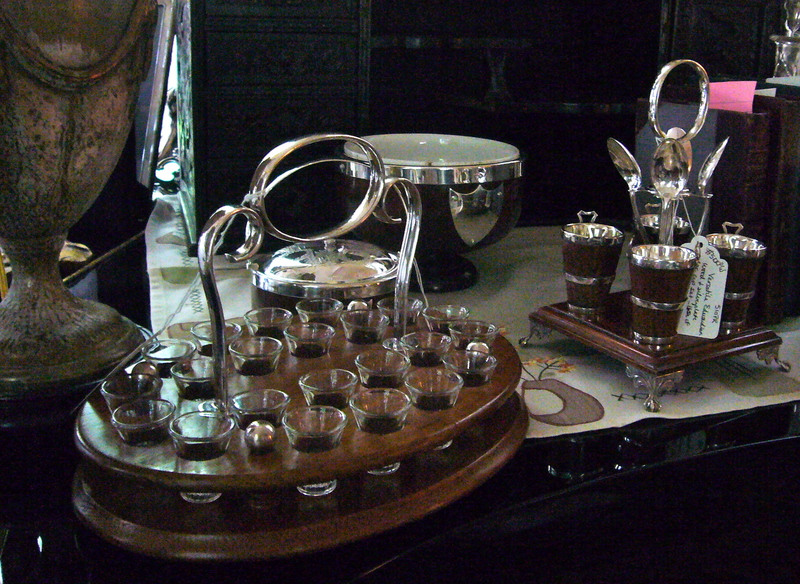 Plus they made stuff that is still here after 200 years and can be used in today’s world like what I suspect was an Edwardian communion set which would look and act great on your bar, or the wood and plate egg cup set which would be gorgeous on your table with salts, peppers and condiments. I totally don’t understand why the British Empire is not still the greatest power in the free world, do you? All kidding aside, the real reason I love the British is because they value their elders, be it people or inanimate antiques. And that’s what I do and who I am becoming, isn’t it? I really want to keep this 19thc oak table on a fabulously carved William IV base, but I’ve gotten kind of used to being married to my mostly very understanding husband. Rachel and I tried to quietly move it into the sunroom but it was exactly one inch too wide to get through the door of my old house and it was dark and raining when we started the redecorating, so we thought taking it outside, around the side of the house and through the back might be a HUGE mistake. 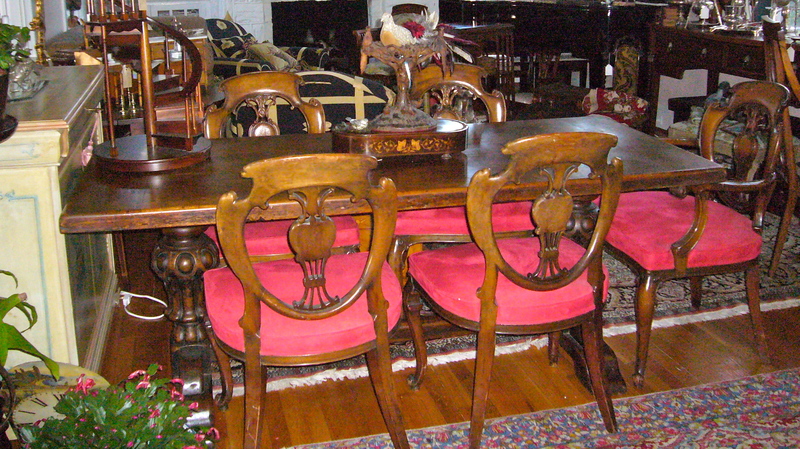 I also thought I was pretty slick when I “auditioned” these French walnut chairs with new red ultrasuede seats around my dining room table thinking he would never notice. Yeah, right–elephant in the room! Anyway, guess you’ll get a chance now to see if anyone notices when you move either the table or the 6 chairs (2 arms, 4 sides), or both, into your house. 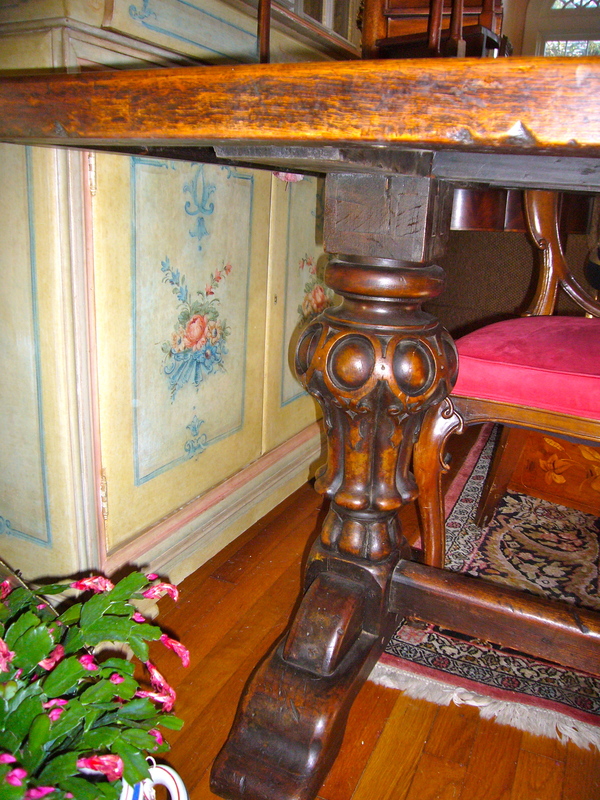 The table comfortably seats 6, could do 8 and is 6 feet long by 29.5 inches wide. 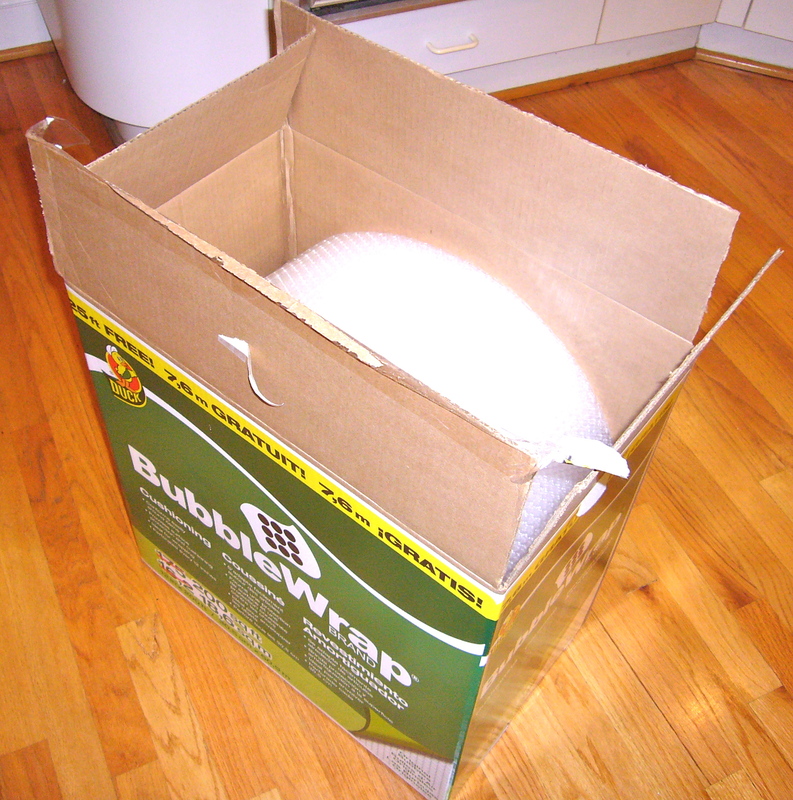 I have had an unabashed love affair with bubblewrap for 25 years. Ever since those early trips to London once a year with my mother and assorted friends, I have understood the importance of bubblewrap. I’d rather wash out my socks and lingerie, or run the risk of offending by wearing a blouse 2 days running than leave my bubblewrap at home. Even though wrapping anything cylindrical in bubblewrap is a surefire way to get that little love note from TSA in your luggage, it’s still worth it. When I get to my European destination du jour, and “build my nest” at my home away from home, I carefully fold the bubblewrap and put it in its own drawer where it anxiously awaits the first breakable purchase. The black slacks and tops can stay balled up in the wad TSA left them–I have my priorities straight. Someone once told me that eveyone has their “cheap point”–that one category of things for which you just don’t want to spend a lot of money. Mine is bubblewrap. I deeply resent going to a big antique market with 1000s of vendors, buying a bunch of blue and white or some other fragile knickknack and then having the seller hand it to me and tell me he doesn’t have any bubblewrap, or better yet, wrap it in crumpled, damp newspaper that smells suspiciously like it’s been used to train the new puppy. I also hate it when I have to use my martini money to buy a teeny roll of bubblewrap from the people at those markets who are waiting, just like vultures, to sell you all those products you either forgot or ran out of. But my most unfavorite thing is when I have been so successful at my bubblewrap collecting and hoarding that I have some left over after packing up and delivering to the shipper and have to leave it in England or France. And it’s always a great big, untorn piece too when that happens. Happy New Year Everyone! Check back for posts and new pages and I’ll see you in January. 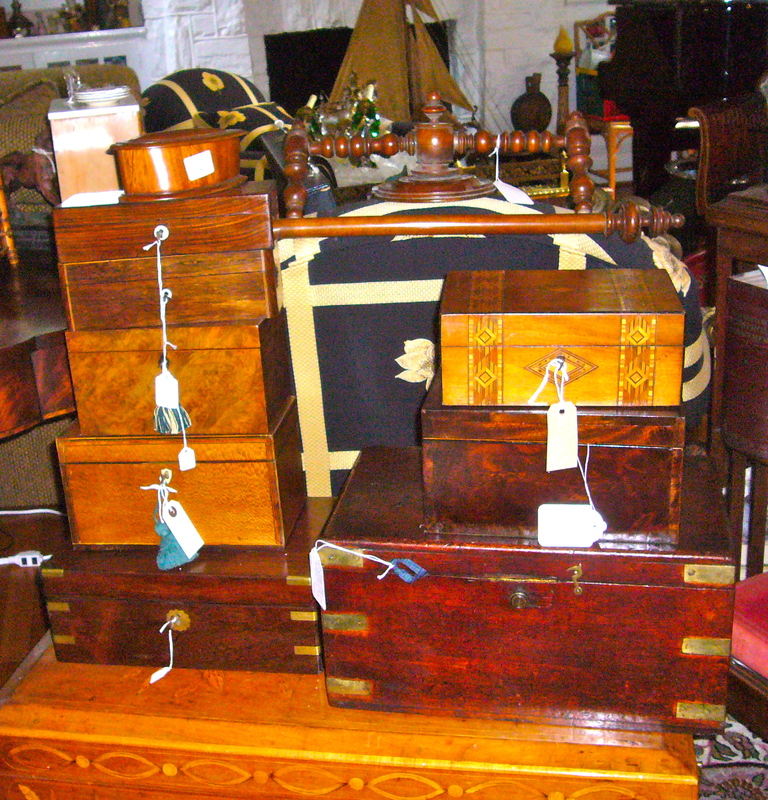 Sorry the picture is not very stylish, but here are a small sampling of the assortment of beautiful English and French boxes I’ve collected to sell. There are Tunbridge Wells boxes with beautiful 3 color wood inlay, big oak document boxes with brass fittings, mahogany and walnut tea caddies, a French “tricot” glove box, “trenchware” boxes (made from the beautiful mahogany propellers on the WWI airplanes–the English are VERY ingenuous! 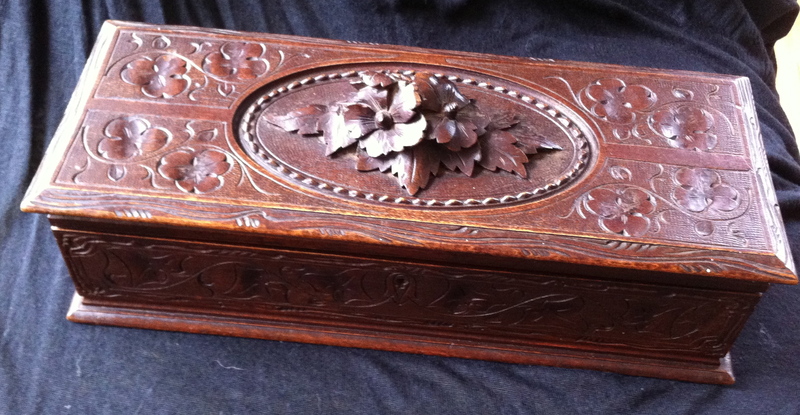 ), mauchlinware boxes, papier mache boxes–you get the general idea. Some of the boxes even still have their original keys. If not, however, if the box has a keyhole, it gets a specimen key (i.e., it doesn’t work but it looks snazzy) from the old Victorian skeleton keys I buy when I can find them. With the box and the key you also get to choose a free silk tassel which I buy from the fabric district in Paris, another neighborhood where you don’t want to spend a lot of time. I do this, not because I’m a control freak (ok, maybe just a little), but because I think a beautiful antique box isn’t dressed until it’s keyed and tasseled. Hey, I’m giving everything away except the box and there are lots of you who say my prices on those are almost give away too! Only my currently empty bank account, courtesy of this latest buying trip, would force me to sell this gorgeous late 19th/early 20th c French walnut wall shelf/coat and hat hanger. The shelf even has a plate ridge. Don’t you just love the carved faces with those great little chubby cheeks holding up the shelf (my mother would have said “Of course you do, this was back when us ‘full figured girls’ were all the rage!”) Sigh… Anyway, the 3 tiles are also in the same great shape as the rest of the piece which is bound to look fabulous anywhere it finds a home. Sigh….